Girls in this generation are facing a dangerous battle for their hearts, with depression, teen pregnancy, fatherlessness, suicide and the loss of hope at an all time high. Their options are limited to the latest self-help books or pop philosophy. We believe women can be made whole by the power of God’s Word. By calling young women to challenge the culture by living out the Word of God in faith, fashion, and fitness. We challenge all women to model a life worth imitating by intentionally training and equipping a new generation of women to embrace their Father in Heaven and every blessing He has for them in His Word. We partner with churches to host conferences where we will be dig into God's Word to see what our Father has to say about the areas of faith, fashion, and fitness by teaching women how to use the Word of God to experience victory over personal struggles and unbiblical thinking. We give a practical perspective on how secure and grounded women dress and take care of their bodies. We will build relationships and continue the conversation after the conference through our website and social media interaction. 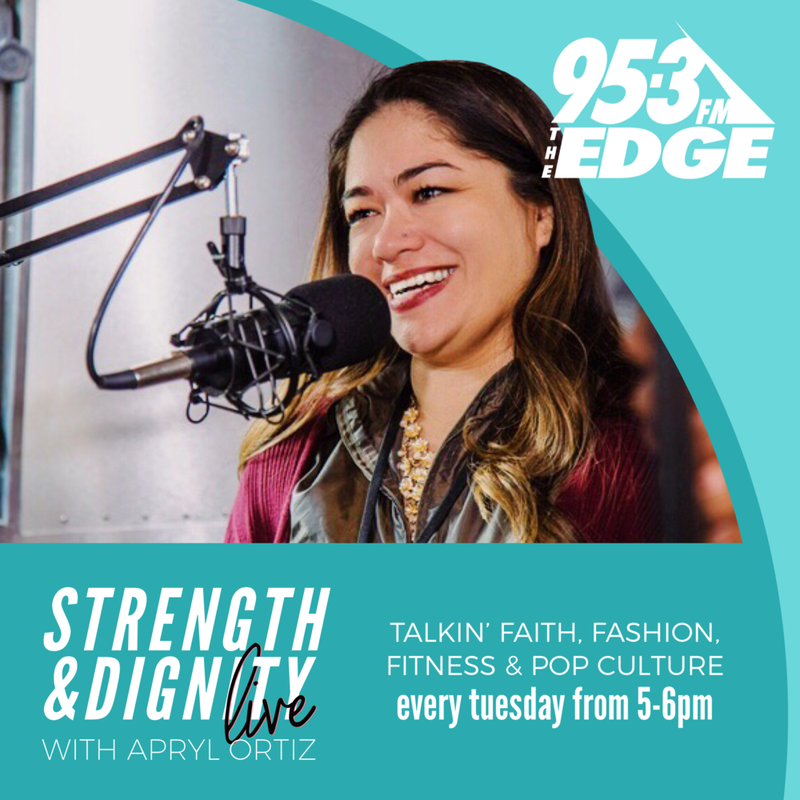 Combining her personal story of redemption with biblical truth, Apryl Ortiz is a Christian speaker and motivator who strives to connect to others with the story of God’s grace. Apryl attests to God’s sovereign Fatherhood, not only with her redeemed past and family, but with her present mission to encourage young women toward leading lives of strength and dignity. "Apryl Ortiz is a dynamic speaker who draws you in with her energetic speaking style, humble yet challenging lessons, and passionate love for Jesus that literally oozes out of her pours! Apryl has the desire to teach and instill the love of Christ into the lives of young women, and have them fully experience the true meaning of grace, mercy, forgiveness, hope and new life that can only come from our Lord and Savior, Jesus Christ." Apryl has such a passion for helping others, and her testimony allows us the privilege to see how God’s grace can transform a life that was totally lost in darkness of sin and self doubt to being renewed by the Holy Spirit’s power into a woman of God , filled with love for God and others. Apryl has given her time, talents and treasure to the Lord to be used as He sees fit. She is a spirit filled worship leader and an enthusiastic and transparent speaker. She has a unique gift as a teacher on life issues faced by women from all backgrounds, communicating the eternal truths of God in a totally down to earth way, which is rarely seen by other speakers. Available for speaking engagements and conferences. Listen live Tuesdays from 5-6pm on your radio dial at 95.3 FM. Or tune in online at 953edge.com and click the button below. We want to see you! Show us you’re living that #strengthdignitylife, #ootd that is #sdlfashionworthy, and your best #mommoments. © Strength Dignity Life. All Rights Reserved.